Trying out the 60's housewife ladylike trend. Very Stepford Wives! 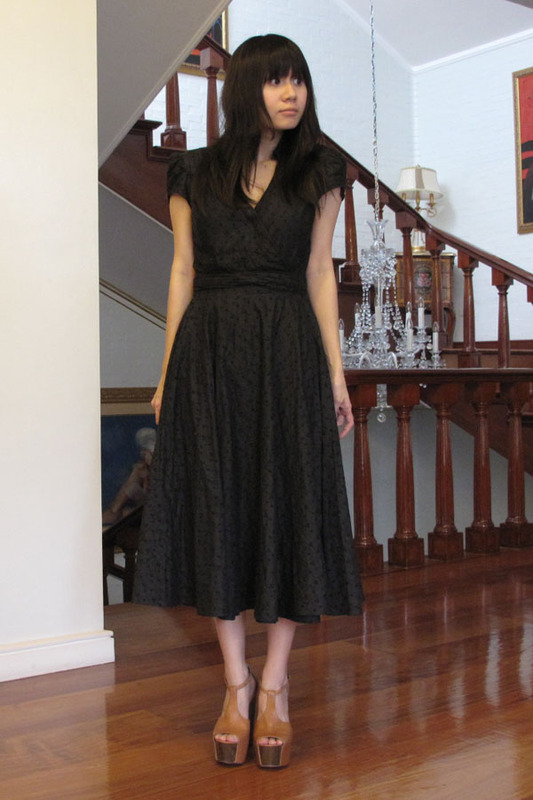 I think this look is growing on me as I am indeed a wife (but not really a housewife. Well, I don't know how to cook nor bake. I don't clean and I don't have a greenthumb.) Hahaha. Kinda liking the hourglass silhouette. Hmmm... though I don't think I'll go pair these type of dresses with kitten heels coz I am sure they would look awkward on me. I'm no Tall Ting, in fact I'm quite vertically challenged. So yeah sky high platforms are the way to go! Had a video shoot for some thing really cool! Can't say for what yet coz they haven't launched it to the market. ;) So keep a look out for what it is. tan platforms: Jessica Simpson "Dany"
Love the shoes!! They look really similar to Jeffrey Campbell's Foxys, but I can't afford those. I think I'm going to get me a pair of these! you look gorgeous and those shoes really made your legs longer ! I'm inspired! 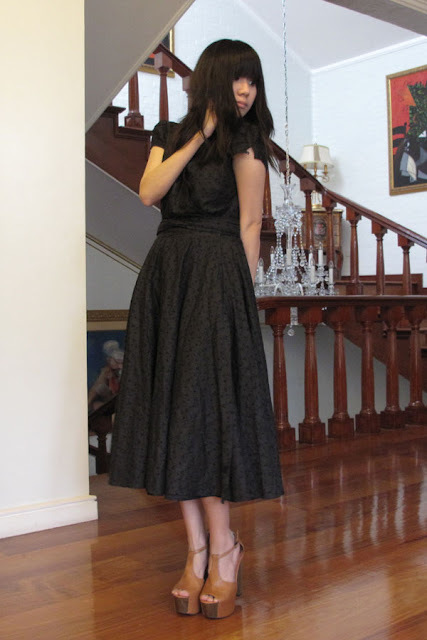 Will definitely consider wearing my dress with a full skirt again and pair it with sky-high heels! hi you look amazing! can i know what size your danys are? :) thanks!